It often goes un-noticed that the legends on keycaps are always in the top left hand corner of the key. This allows other characters to appear on the bottom right of the keycap, our transparent foreign language stickers utilize this space. 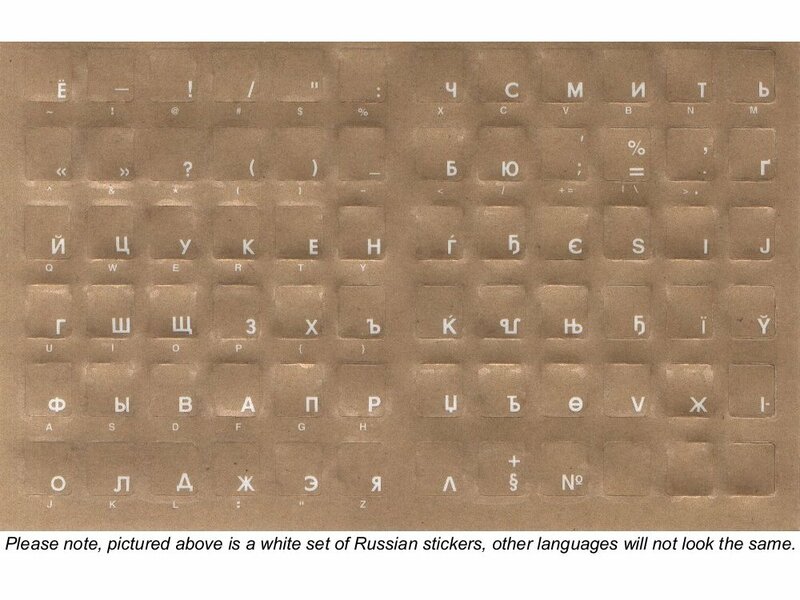 The stickers cover the whole key with the foreign legend bottom right, giving you a dual language keyboard, available in all languages, blue or white legends, and Braille. Ideal for a quick language conversion or addition.